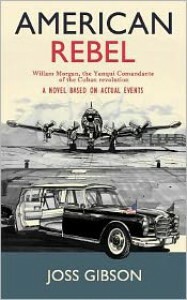 I love books like Joss Gibson’s “American Rebel: A Novel Based on Actual Events.” Until reading American Rebel I had never heard of William Morgan or the Second Front even though I was aware of the Cuban rebellion and the Cuban communist government. The story of William Morgan and his involvement in the rebellion is, for lack of a stronger word, fascinating. American Rebel opens with three separate storylines: Maria Jensen and Ray Halliwell in the present and a flashback to William Morgan in the past. It may sound difficult to follow but it isn’t. Gibson is a very talented writer and the stories are very easy to follow. 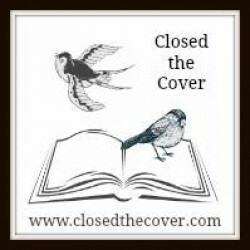 Each chapter tells a portion of their story until Maria and Ray reunite in the present to go before the US Senate to set the record straight on William Morgan: who he was, what he stood for and why his US citizenship should be reinstated. Once Maria and Ray are before the US Senate the story unfolds as they recount their experiences in 1950’s – 1960’s Cuba. They recount their experiences with the Second Front (part of the rebellion fighting against a Communist Cuba) led by William Morgan. They also tell personal intimacies of William Morgan as a friend, a husband and a loving father. History had depicted William Morgan as a traitor, a communist and a CIA agent but he was none of the above. He was an American with a troubled past who tried to make a difference and help the people of Cuba regain their freedoms and control of their own country. He fought for the people and was a hero to the Cubans. In the end, he never betrayed his country but his country betrayed him. His US citizenship was revoked and, well, I can’t spoil the rest of his story. All I can do is highly recommend that you read American Rebel and learn about this amazing American man who fought for Cuban freedom. I can’t say enough good things about this book or this author. I became obsessed with the story of William Morgan and found myself even more intrigued because I knew it was based on actual events. This book tugged on my heart strings as I thought about Maria’s lasting love for William and everything she endured. American Rebel is a truly great book. This is the kind of story that should be required reading to learn about American history, Cuban history, and international relations. It’s a story that will stay with me forever.